Among many, many articles in the media over recent days on this, the piece below in the Telegraph references how closely tied to political outcomes the coming year will be. Those developments will inevitably affect the UK, including sentiment in the UK M&A market (surprisingly closely tied to general economic sentiment over recent years) in which I operate. 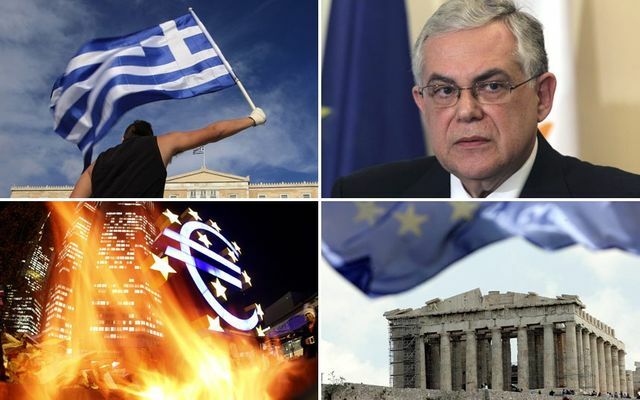 The Greek election, highlighting as it does the continuing risk to the Eurozone of economic instability deriving from the problems of debt-ridden southern European states, is the first of a series of political set pieces this year. The Eurozone countries are the UK's largest trading partners, so some of the slight tailing off of UK GDP growth in the last quarter of 2014 (just announced today) is no doubt due to continuing Eurozone economic weakness. How much difference will that make in the UK's May elections? What other shocks will emerge over coming months that bring further fear and uncertainty to the markets? Ironically, the fundamentals for the UK economy and therefore also the M&A market are good. It may be (and many out there are hoping this is the case) that there is a strong flow of deals coming through over the next 3-4 months (and it certainly looks that way currently) before a pause, as the UK election results are worked through. However, we don't need many more negative shocks before sentiment would start to shift in the wrong direction. Hold tight. Even if Greece stays in the single currency, after choosing a party determined to defy the European Central Bank, negotiations over bond repayments between Athens and Frankfurt will be extremely hard-fought. This Hellenic election holds big significance for Britain, too. Ahead of our general election in May 2015, fears of renewed eurozone turmoil, which this Greek vote could spark, will bolster Eurosceptics across all parties. That could lead to an earlier vote on UK European Union membership. Whatever the domestic political impact, there’s also the enduring economic reality. Continental Europe remains our largest trading partner by far and, in the EU or not, that won’t change any time soon. As such, Britain can’t stage a full-throated recovery while the eurozone is flirting with systemic meltdown – a meltdown that is now more likely, after this Greek election.